I’m going to be honest here: I eat a banana pretty much every day as part of my breakfast. Its my favourite fruit to have with muesli or porridge and I love that I can buy it year round at a reasonable cost. However, I know that there are a lot of ethical and environmental issues surrounding global banana production. So I decided to do a bit of research and share my findings with you. A bit of background: bananas are among the five most consumed fruits on the planet and are produced by almost every country in the southern hemisphere. They are a commodity, which means they’re an economic good that cannot be differentiated: pretty much all bananas are the same. In practice this means that the market is highly competitive and there is a lot of pressure on prices to stay low. Many developing countries depend heavily on the export of commodities, and 5 Latin American countries export 83% of total bananas. In addition, 4 major multinational corporations control more than 80% of global trade. Eating foods that have come from far away always has environmental costs associated with it. If you live in the northern hemisphere, chances are you are importing your bananas from a distant place. 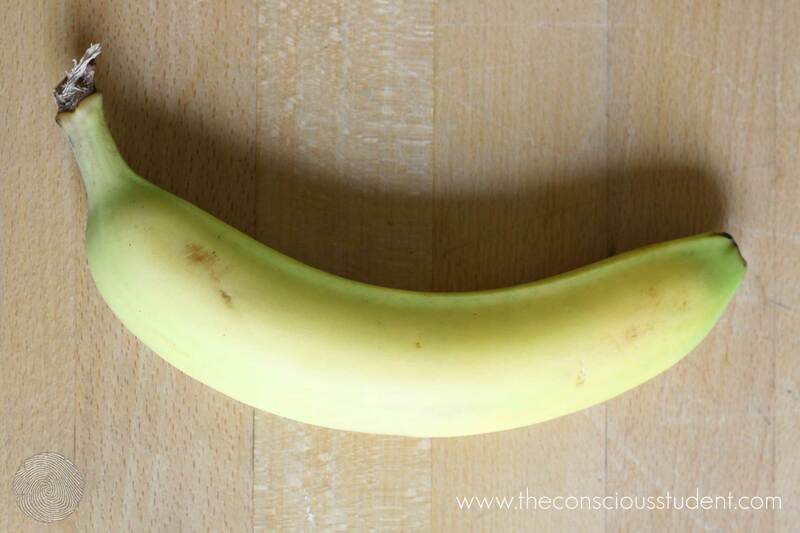 This means that a lot of energy is expended to bring your bananas from field to plate. The simplest way to avoid these so-called ‘food miles’ is to eat less imported and more local fruits. 97% of bananas grown for international trade are the same variety. The lack of genetic differentiation makes them particularly susceptible to pests and diseases, requiring huge amounts of of pesticides to keep the bananas healthy. In Ecuador, for example, an average of 45-65kg of pesticides are applied per hectare, in comparison with an average of less than 3kg in Europe and the US. This huge reliance on pesticides contaminates local water sources, as well as being harmful to the health of plantation workers. In Ecuador, children living near a banana plantation were found with symptoms of poisoning, and in the 1970s, thousands of plantation workers were made infertile from poisoning by pesticides used. In addition, large-scale banana plantations are often responsible for soil erosion and deforestation. Bananas that are certified organic are not allowed to be grown using chemical pesticides. Instead, natural pesticides, for example garlic and pepper are used to lower the chance of disease. As mentioned before, there is an immense international pressure from retailers to keep banana prices low. In 2008, this resulted in a ‘price war’ between UK supermarkets, resulting in a drop in the price of bananas by up to 41% in some cases. The constant downward pressure on the price of bananas means that many plantation workers receive a wage on which they cannot support themselves, receiving only about 4% of the final banana price, while retailers can earn approx 29%. Many of the workers on banana plantations are migrant labourers who do not have access to healthcare and legal benefits. The certification of ‘organic’ requires compliance with certain environmental standards. Exclusively organic (natural-non chemical) fertilizers are used to maintain soil fertility and pesticides are also from organic origins. For more information, see this post on organic bananas or the soil association UK website. the ‘fairtrade’ certification is regulated by The Fairtrade Foundation, and in order to receive certification, farmers must comply with certain labour standards. In return, farmers receive a fair price for their crop, covering at least the costs of production. An extra ‘fairtrade premium’ is invested in local community projects in/around the plantations. This report by the Fairtrade Foundation will give you more information about the role of fairtrade in the banana market. As of now, buying fairtrade or rainforest alliance certified products is the only way for consumers to use the power of their purchase to choose fairer working standards and prices for suppliers. Don’t forget that your money gives you the opportunity to vote every time you enter the supermarket – whether you decide to ‘vote’ for the cheapest option, the nicest packaging, the organic option, the fairtrade option, the ‘fun size’ option (yes – “fun size” bananas exist). Fascinating blog be local St Andrews students. Check it out!